Thx for the link: I don't know her music, tho I know her name. She seems to be a truly impressive person, and I would not have read this piece without the link. Thank you. Definitely inventive. And I think I even like it, although I do sometimes want to throttle the Little Drummer Boy around this time of year. Why embarrassed? 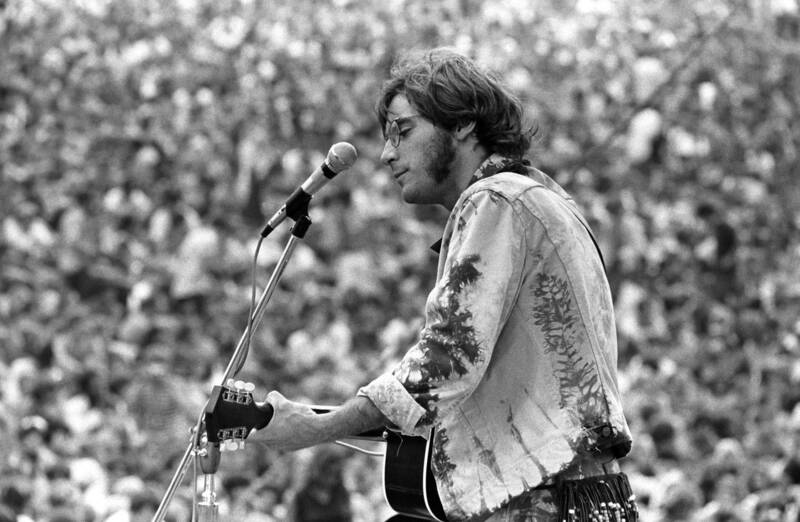 Plus Vera Gemini is epic..
Ladies and gentlemen: John Sebastian performing 'Darling Be Home Soon'. https://www.youtube....?v=rBXL7FaPod4. Originally written by Mr. Sebastian in 1966 and recorded by his band, the Lovin’ Spoonful, “Darling Be Home Soon” was widely thought to be an anti-war song illustrating the worries of a wife whose husband was being deployed to Vietnam. In truth, the song was written for a coming-of-age film directed by Francis Ford Coppola and based on Mr. Sebastian’s own romantic dilemmas. 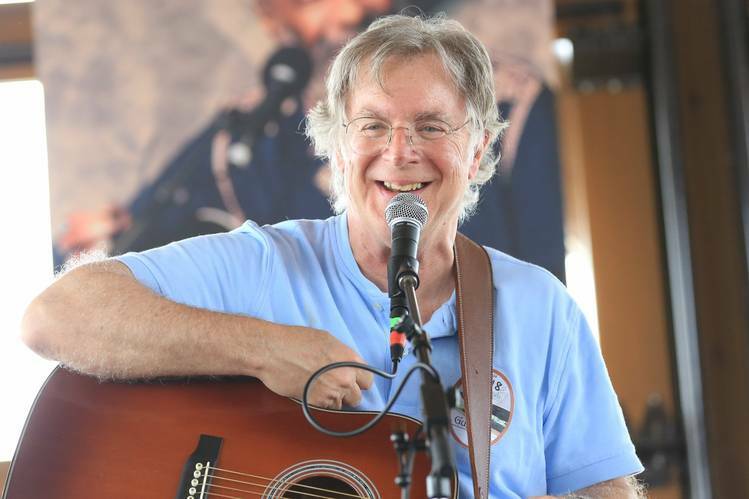 John Sebastian: In early 1964, Zal Yanovsky and I formed a band in Greenwich Village. We were still trying to come up with a name when I ran into Fritz Richmond, a friend and musician. I asked him for suggestions. Fritz asked what we sounded like. I said a cross between Chuck Berry and Mississippi John Hurt. Fritz suggested the Lovin’ Spoonful, a line from Hurt’s 1963 song, “Coffee Blues.” The name was perfect. The following year, the Spoonful signed with Kama Sutra Records, and we had our first hit in August ’65 with my song, “Do You Believe in Magic.” Around this time, our manager Bob Cavallo was approached by producers Jack Rollins and Charles Joffe, who wanted us to record original music for Woody Allen’s first feature film, “What’s Up, Tiger Lily?” due out in early ’66. That summer, after “Summer in the City” became a No. 1 hit, Bob Cavallo said Francis Ford Coppola wanted us to record original music for a film still in production, “You’re a Big Boy Now.” Francis was 27 then and just starting out as a feature film director. Francis had this intensity behind his eyes and yet he was very easygoing. I think part of our simpatico was being Italian. Though my name is Sebastian, my father was a classical chromatic harmonica player born John Sebastian Pugliese. His parents had emigrated from Italy. A few days later at his screening room, Francis ran the entire film for me, which was a dark comedy about a young awkward guy coming of age in New York. At one point, Francis stopped the film during an extended no-dialogue love scene. It featured Bernard [Peter Kastner], the film’s naive and inexperienced male lead, being seduced by Barbara Darling [Elizabeth Hartman], a young woman who knew a lot more than he did. Francis had dropped the Mamas & the Papas’ “Monday, Monday” into the scene to illustrate the mood and tempo he wanted from me. I thought, “What would it be like if the roles were reversed, if the guy was the one waiting for his girlfriend to return from the road?” It took me few days to write the song. The verses were pleas for a partner to spend a few minutes talking before leaving. They resolve in a chorus yearning for the partner’s return: “But darling be home soon / I couldn’t bear to wait an extra minute if you dawdled.” What made the song interesting is that you never know if the other person was actually there listening or was already gone. When I finished the music and lyrics, I played the song for Francis. He thought it was good. Next, I played it for the movie people, who felt it was too spare and wanted to add orchestration. We already knew Artie Schroeck, who had arranged for Laura Nyro and was highly respected, so we suggested him. The Spoonful recorded “Darling Be Home Soon” in a day. When we returned to the studio the next morning, our producer, Erik Jacobsen, was pale. The second engineer cleaning up my vocal track had mistakenly erased it. I couldn’t believe it. The track I had recorded was so heartfelt. It was the one. They just needed me to re-record my vocal. I did that right away, with the wound still fresh. What you hear on the record is me, a half-hour after learning that my original vocal track had been erased. You can even hear my voice quiver a little at the end. That was me thinking about the vocal we lost and wanting to kill someone. When the movie came out in early December ‘66, I was happy with our music. I felt like I was raising my game to be in Francis’s league. But the film didn’t get much traction, and the “You’re a Big Boy Now” soundtrack became a lost Lovin’ Spoonful album. By 1968, I wanted to go my own way, and the Spoonful broke up. On Friday, Aug. 15, I made it to the airport in Albany, N.Y., and was looking for a flight to get me closer when I looked out the lounge window and saw Walter Gundy, my old road manager, loading a helicopter with the Incredible String Band’s equipment. I had my ride. The next day, as it rained, I stood under one of the covered parts with concert producer Michael Lang and Chip Monck, the lighting director and announcer. Around 3:30 p.m., the rain stopped and Michael said he needed someone to go on with an acoustic guitar because they couldn’t set up amps on stage for Santana until the water was swept off. Michael turned to me and asked if I’d do it. Folk singer Tim Hardin loaned me his Harmony Sovereign guitar. When Chip announced me on the P.A. system, I went out in what I was wearing—my tie-dyed white denim jacket and tie-dyed white jeans with the cuffs rolled up. I sang five songs, including “Darling Be Home Soon,” which was easy to do as a solo. The audience didn’t identify the song with the movie, since most probably hadn’t seen it. Instead, they sort of quieted down and took it in as an anti-war love song. When I finished, the applause from so many people was loud and wide, and knocked the wind out of me. The feeling was delicious. Today, when I perform, I almost always play “Darling Be Home Soon.” It has a slightly different meaning now. I’ve been married for 46 years and always look forward to getting home soon. My Woodstock white tie-dyed jean jacket is at the Rock and Roll Hall of Fame. As for the tie-dyed white pants, they were stolen three weeks after Woodstock out of a laundromat on New York’s Carmine Street. A longer version of this interview appears in Marc Myers’ book, “Anatomy of a Song: The Oral History of 45 Iconic Hits That Changed Rock, R&B and Pop” (Grove). at the end of the summer of 1956 that—wham!—the world had changed overnight…. I would go on to learn that this new music had been seeping under the door for years with artists like Fats Domino, but to me it felt like it happened in the blink of an eye. Testimony, Robertson’s account of his life as a teenage member of the rockabilly band Ronnie Hawkins and the Hawks, and as the guitarist and a songwriter for the Band, a group that in the late 1960s rewrote the American story as surely as Mark Twain, Mae West, Uncle Dave Macon, or Robert Johnson had done before them, is a book about the revelation of such moments. It presents itself as a conventional memoir of family and professional life, from Robertson’s boyhood to Thanksgiving night 1976, when the five founding members of the Band played their last show, which they called “The Last Waltz.” They were the drummer Levon Helm (who, like Ronnie Hawkins, was from Arkansas), the pianist Richard Manuel, the bassist Rick Danko, the organist Garth Hudson (each, like Robertson, from Ontario), and Robertson, all of whom, from 1960 to 1963, joined Helm in Hawkins’s band. But in fact it is a book of shocks. After the show, as the musicians packed up their equipment, I slipped up to the security railing by the stage and caught a glimpse of Buddy Holly putting away his guitar. He looked over at me and smiled, then closed the latches on his guitar case and walked toward the railing. His black horn-rimmed glasses looked much bigger offstage and he dressed more like a university student than a rock ’n’ roll star. “You a guitar player?” Buddy asked. …When I left the arena I didn’t know what to do with my nervous energy—if I got any higher I worried I’d just combust into smoke. I’d just been through something transformative, a wondrous experience that had given me a glimpse into a different life, and it was both thrilling and terrifying. I couldn’t go home, so I went to a restaurant and didn’t make it back until two thirty in the morning. My parents were pissed, and I had no way of communicating to them that this had been the most important night of my life. One of the highlights of Martin Scorsese’s “The Last Waltz,” which documents the Band’s farewell concert in 1976, is a performance of “The Weight.” Rather than use the concert version, the director shot it on an MGM soundstage with the Staple Singers joining in for a rousing, roots-gospel rendition. The enigmatic song about a traveler, the characters he meets and the burdens he assumes first appeared on the Band’s 1968 album “Music From Big Pink.” Since then, hundreds of artists have recorded “The Weight,” including Aretha Franklin (with Duane Allman), Jackie DeShannon, Mavis Staples and the Grateful Dead. Robbie Robertson: I wrote “The Weight” in late 1967 in a house I was renting in Woodstock, N.Y. All of us in the Band had been living up there while playing and recording the “Basement Tapes” with Bob [Dylan]. We played at a pink house in nearby West Saugerties that we called Big Pink. Prior to moving to Woodstock, I lived at the Chelsea Hotel in New York. Poet Gregory Corso, who was staying there, urged me to check out the Gotham Book Mart on West 47th St. The bookshop was a dusty, funky place owned by Fanny Steloff that sold used and new books. After looking around, I found that the store also stocked movie scripts. I loved film, and had long wondered how plot elements in a film fit together. These scripts were like blueprints. The script that punched me between the eyes was Ingmar Bergman’s screenplay for his 1957 movie “The Seventh Seal.” Luis Buñuel’s scripts for “Nazarín” and “Viridiana,” which examine the impossibility of sainthood, also captivated me. Up in Woodstock in ’67, images from all these scripts were stirring around in my head. The Band was just finishing up with Bob and we had already written enough songs for “Music From Big Pink.” But I wanted one more as a fallback, just in case. Our drummer and singer Levon Helm had just returned after spending nearly two years away from the music business. I wanted to write a song that Levon could sing better than anyone in the world. One night in Woodstock, upstairs in my house in a workspace next to my bedroom, I picked up my 1951 Martin D-28 acoustic guitar to write a song. I turned the guitar around and looked in the sound hole. There, I saw a label that said “Nazareth, Pennsylvania,” the town where Martin was based. For some reason, seeing the word “Nazareth” unlocked a lot of stuff in my head from “Nazarin” and those other film scripts. Once I had a few chords written, I sang, “Pulled into Nazareth, was feelin’ about half past dead.” I didn’t have any grand story planned. I don’t even know where the melody came from or the chord structure. As for the words, I just knew I wanted characters to unload their burdens on the song’s main character in each verse. The guy in my song starts by asking the first person he sees in Nazareth about a place to stay the night, a biblical concept. The chorus I came up with was, “Take a load off Fanny”—not Annie, as many people think. I’m not sure I had the Gotham’s owner in mind when I used “Fanny.” But her name was certainly buried back there in my imagination. “Fanny” just felt rhythmic. “Take a load off and put it right on me” also was pure Buñuel. Once you lend a hand and assume someone else’s burden, you’re involved. “Carmen and the devil walkin’ side by side” is from “The Seventh Seal” and the chess game with Death. As the song’s words came to me, I wrote them on my portable typewriter. I got used to typing lyrics from Bob [Dylan]. I never saw him write anything with a pen or pencil. He’d make little corrections on his typed pages, but everything he wrote initially went through his typewriter. There was no magic to this process. It was just that Bob knew how to type. He had taken typing in school. “Crazy Chester” was based on someone I saw in Fayetteville, Ark., when I was 16. There was this guy in a wheelchair who was kind of nuts. He’d roll into the town square, and when girls went by, he’d call out, “Hoocha, baby, hoocha.” It was like a tic. Chester was stuck in my head. The only major change I made in the entire song was the name of Chester’s dog. Originally, I named the dog “Hamlet,” after [bassist] Rick Danko’s dog at Big Pink. I changed it to “Jack” because Hamlet didn’t sing right. When the Band got together to rehearse at Big Pink in late ’67, I had a basic chord structure, a melody and words. I taught that to everybody. At some point during rehearsals, I stumbled across Levon adjusting his drumheads and the sounds they made. I had him loosen the heads so when he hit them, the sound would slide to another tonality. The only tricky part came at the end of each chorus, when I wanted the guys to sing “and, and, and—you put the load, you put the load right on me.” The harmony parts took a few minutes for everyone to feel. We recorded “The Weight” in early 1968 at New York’s A&R Studios. We set up in a circle. We couldn’t record in isolation booths with headphones—we needed to look at each other and lock in. We were used to sitting around playing together in Big Pink’s living room and basement, and hearing everybody at once. Our engineer, Don Hahn, warned us we’d sound terrible in a circle, since our instruments and voices would bleed into each other’s microphones. [Producer] John Simon asked if the studio had mikes that would pick up only what was in front of them. Don suggested the Electro-Voice RE15. It was a directional mike that wouldn’t pick up anything around you. They put RE15’s on just about every instrument, and the result sounded really good. I decided to open the song with my Martin D-28, playing these Curtis Mayfield-like licks before the band came in. But the Martin D-28 can be a little boomy, so we moved my mike behind the guitar, to give it an old, nasally sound. In the studio, my decision to have Rick step forward to sing the Crazy Chester verse came out of nowhere. It just seemed like a refreshing change to have a new character voice enter the narration. I sang it for Rick so he’d know what I was thinking, and he got it. At the end of the verse, Levon jumped back in with a “yeah!” and sang the last verse—“Catch a Cannonball now, to take me down the line”—with Rick singing background on certain words, which picked things up to another level. Our original intent was to have the song end abruptly on an unexpected chord. It created suspense and felt fresh. In some ways, the ending was cinematic, like those movies that end in a freeze frame. The listener is forced to hear the final chord that isn’t played. At the Woodstock festival in August 1969, we performed on Sunday, the last day, at 10 p.m. I’d never seen anything like it. There were a half-million people out there in the dark rootin’ and tootin’. They wanted excitement. Our set was more subdued. When we played “The Weight” toward the end, you could feel a beautiful somber mood come over the place. It felt like we caused the audience to feel nostalgic for period they never actually experienced. I’ve lost track of how many cover versions of the song there are. The funny thing is nobody knows what the song is about. So why other artists would bother to record it has always mystified me. My favorite version was the one the Staple Singers recorded for Stax in ’68 soon after “Music From Big Pink” came out. The way their voices came together, it was like a train in the distance. As we performed, Pops sang by sliding to the notes and his daughters’ voices slid right behind his. That was beautiful. It was like doing God’s work. And maybe that’s what motivated the song in the first place. London Grammar, a British band worth being heard around the world. Just returned from two day visit to Okehmah, OK, and the 2017 WoodyFest tribute to Woody Guthrie. We saw Arlo Guthrie and Sarah Lee Guthrie. This Land is Your Land. Went to a very unconventional wedding, where a joky number was played by a band I'd heard of but never investigated, this is is one of their more serious songs, they also do a lot of alcohol themed less serious stuff (check out Man with a plan).